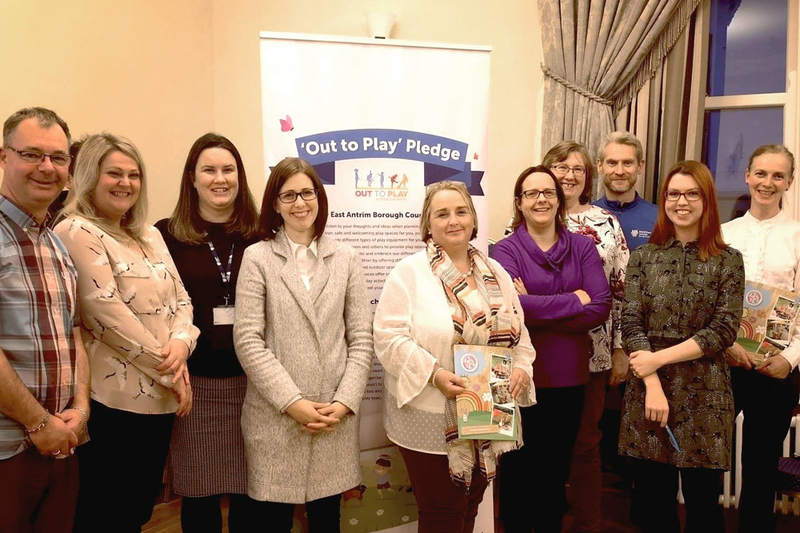 The first two of four PlayShaper workshops, delivered by PlayBoard NI and hosted by Mid and East Antrim Borough Council, were held at Larne Town Hall on 14 and 28 November. The PlayShaper programme is targeted at those who plan, design, build and manage public spaces and aims to provide a better understanding of the importance of children and young people’s play and the role they have in enabling, or restricting, it within the public realm. Mayor of Mid and East Antrim, Councillor Lindsay Millar, said: “PlayShaper is one of the three core elements of ‘Play Matters’ - a Play and Leisure Project funded through the Early Intervention Transformation Programme (EITP) - and is a programme of professional play development, training and guidance for a range of stakeholders who directly or indirectly influence play. Alderman Maureen Morrow, who attended the first two PlayShaper workshops said: “Play is such an important part of any child’s development. Play is crucial for healthy growth and physical fitness, and with only one in eight children reportedly completing the recommended 60 minutes of moderate physical activity per day, it may be more important than ever. “Play is also crucial for cognitive skills, social development, memory and language. Imaginative and risky play are essential for children, and it is important our environment and facilities here in Mid and East Antrim reflect these needs.